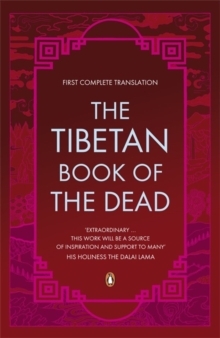 The most graceful English translation of this masterpiece of world literature - prepared with the participation of the Dalai Lama and eminent contemporary masters of this tradition appointed by the Dalai LamaOne of the greatest works created by any culture and one of the most influential of all Tibetan Buddhist texts in the West, The Tibetan Book of the Dead has had a number of distinguished translations, but strangely all of these have been partial abridgements. Now the entire text has not only been made available in English but in a translation of quite remarkable clarity and beauty. 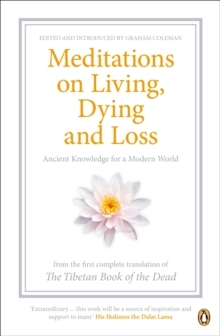 A comprehensive guide to living and dying, The Tibetan Book of the Dead contains exquisitely written guidance and practices related to transforming our experience in daily life, on the processes of dying and the after-death state, and on how to help those who are dying. As originally intended this is as much a work for the living, as it is for those who wish to think beyond a mere conventional lifetime to a vastly greater and grander cycle. 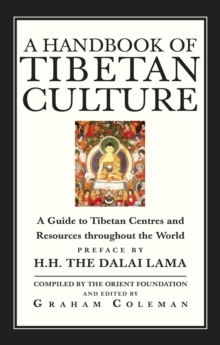 'Extraordinary ... this work will be a source of inspiration and support to many' His Holiness the Dalai LamaAbout the authors:Commentary by His Holiness the Dalai Lama. Thupten Jinpa is the senior translator to the Dalai Lama and President of the Institute of Tibetan Classics. Graham Coleman is founder of the Orient Foundation for Arts and Culture, a major Tibetan cultural conservancy organization, and writer-director of the acclaimed feature documentary Tibet: A Buddhist Trilogy. 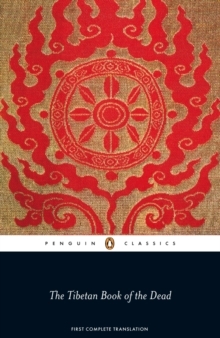 Gyurme Dorje is a leading scholar of the Nyingma tradition of Tibetan Buddhism, from which the Tibetan Book of the Dead literature derives.